As Executive Vice President, EMEA & APAC, Keith is responsible for day-to-day profit and loss accounts and all aspects of sales, marketing, delivery and development. Keith’s role includes overseeing over 3,000 customers across Europe and APAC, his vision as managing director is to drive the company towards its goal of being the first choice provider of Information Availability solutions. With 30 years of business expertise, Keith keeps Sungard Availability Services’ European operations at the top its field. 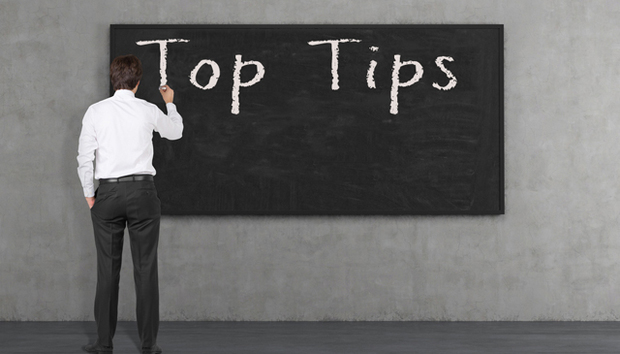 Keith shares his top tips on how the CIO can raise their profile and drive business growth. The role of the chief information officer (CIO) and their team has never been more critical to growth and success. However, a recent report from industry analysts Forrester has revealed that many key business leaders believe that the CIO currently hinders business growth, rather than accelerating it. Despite recognising the organisation-wide disruption that IT and the rise of ‘digital first’ can bring, many at the C-Level may not see identifying opportunities and optimising value from IT as a shared partnership but solely the CIO’s job. While this provides a unique opportunity for the CIO to elevate their role, it also presents challenges due to the digital illiteracy of some members of the C-suite and the ambiguous nature of the CIO role. With the right tools and approach, the CIO can help build the crucial alliance between IT and the business, and ensure that their organisation’s people, processes and availability policy are properly aligned to offer the best possible chance of success. In light of this, at Sungard AS we commissioned Dr. Joe Peppard, professor of management at the European School of Management and Technology in Berlin, to examine just how the CIO can raise their profile and indeed drive business growth rather than simply ‘keeping the lights on’. From his report, ‘Digital Dynamics in the C-Suite: Accelerating Digitisation with the Right Conversations’, I have identified five top tips from which ring true to any organisation. Act like a business leader The CIO is first and foremost a business leader, albeit with a special responsibility for IT. To demonstrate this, the CIO needs to speak the language of the business; executive colleagues will understand business impact, not bits and bytes. Coach the leadership team on the opportunities and treats of IT This can include briefings, frequent updates about IT initiatives, and the use of new IT tools. Developing the digital strategy demands the right kind of conversations about information and technology opportunities. Achieving alignment is ultimately about having a shared understanding, commitment and cognition between business and IT executives. Don’t be the ‘department of no’ There may be valid reasons why the CIO holds a particular position, but from the business perspective it is IT, yet again, constraining the business. The result is tension between the CIO who thinks technology needs to be controlled and the business side saying they want more of a role in the decisions, and pushing back at IT control efforts. Promote IT as an instrument of change and innovation Look to go beyond IT being an enabler of transformation, and be part of the transformation shaping the direction the organisation takes. Even though organisations are starting to recognise the value of IT – and therefore the importance of the CIO and their team – businesses are still operating in silos, with IT often plugged in as an afterthought or a necessary tick box. Once the wider business understands that IT is more than a formality the CIO will become more embedded in the organisation.